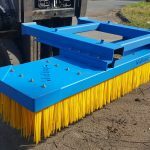 The ideal brush for clearing debris from large areas is big enough to quickly sweep large areas without side spillage, while also sturdy enough to handle everything from dust and leaves, through to environmental hazards such as snow and mud, all the way up to more abrasive materials like wood and scrap metal. 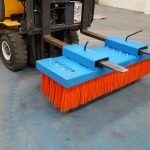 We developed our forklift sweeper attachment with exactly these specifications in mind, after speaking to clients who found that existing sweeper attachments elsewhere on the market couldn’t stand up to regular use. 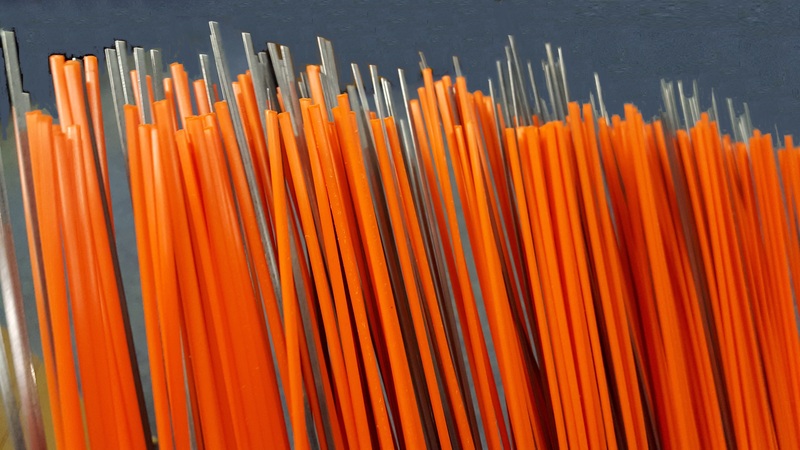 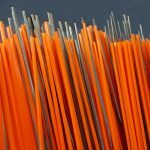 We’ve also developed a range of heavy duty filaments to suit a variety of different applications. 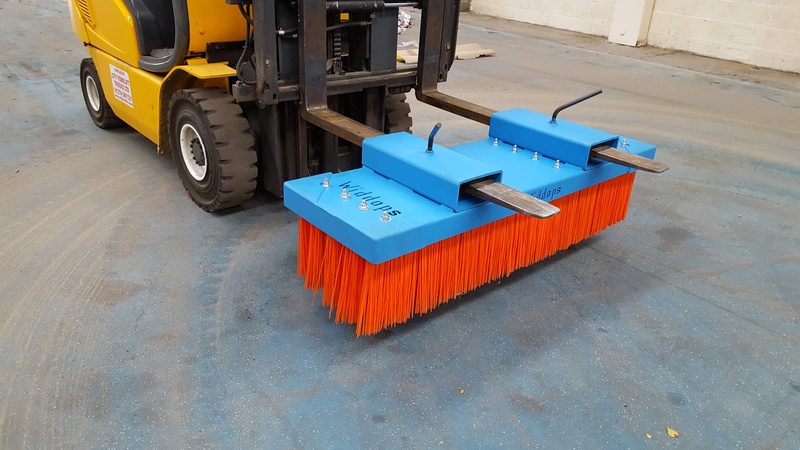 View the full product specification. 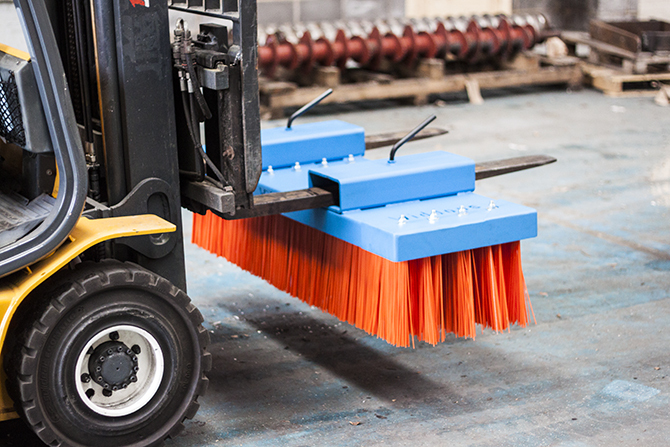 Where is a forklift sweeper brush most effective? 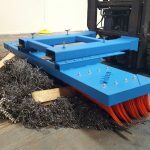 Or all of these things combined! 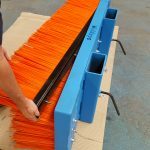 The heavy-duty filaments mean it can handle multiple types of material at the same time, without being damaged. 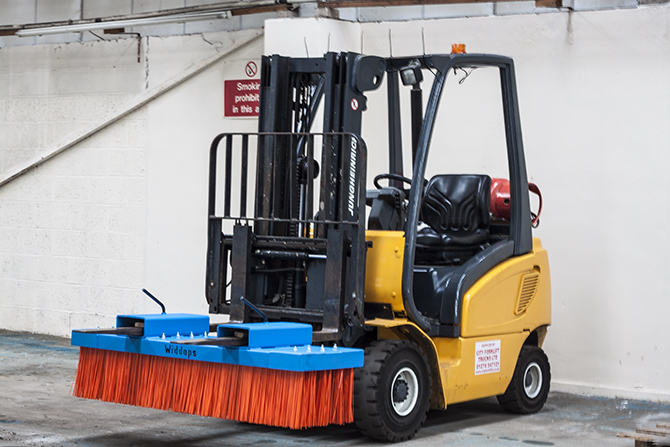 In busy industrial environments, thorough cleaning to remove slip hazards, trip hazards, and anything that provides risk of injury or illness is essential. 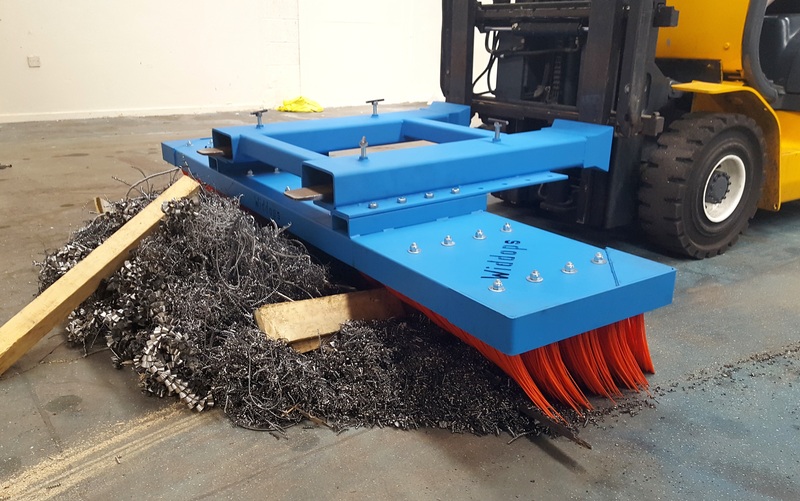 Watch the below video to see just how quickly and effectively the attachment can clear a warehouse floor of debris – the heavy-duty filament clears even the smallest particles of dust, reducing risk in a variety of ways. 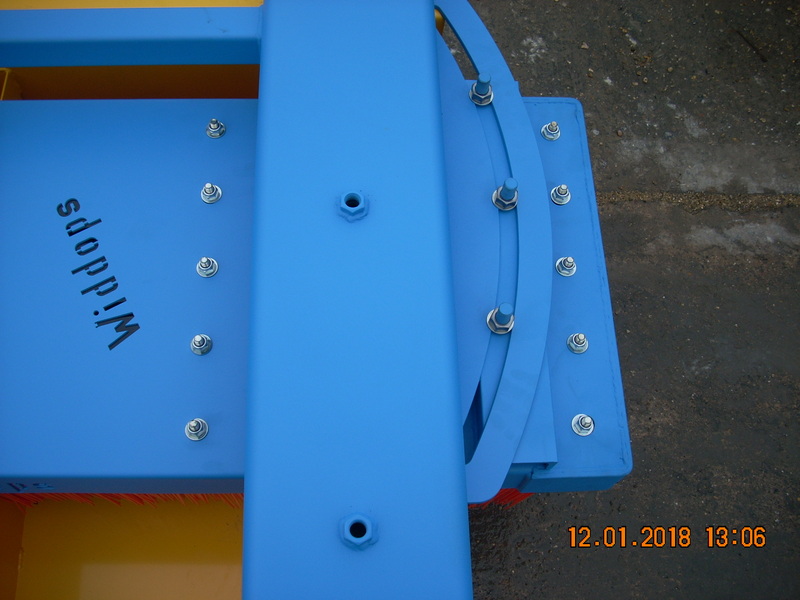 If you have any queries, would like to see more detailed specifications, or are interested in bulk discounts or bespoke units, please don’t hesitate to get in touch with our sales team. 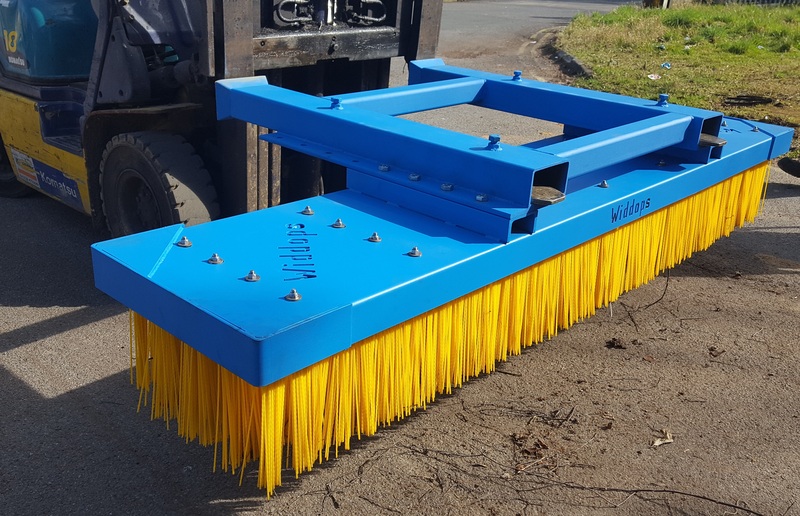 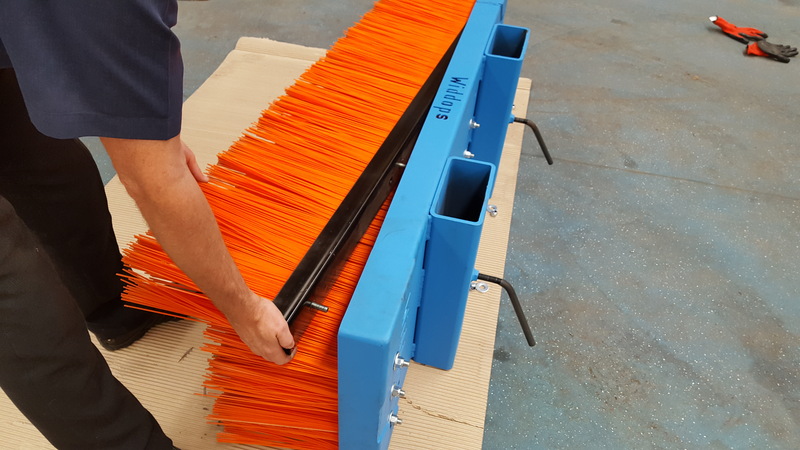 Utilizing five of our interchangeable brush cartridges; these units use only the best in a diverse choice of heavy duty filaments and combinations to be the most hard wearing and effective brush sweeper on the market, with replacement cartridges available. 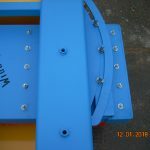 Please contact our sales team for further spec’s and bulk discounts or for more bespoke units.